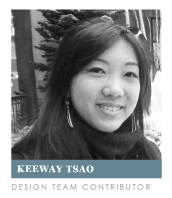 ---> Christine asked...Do you know how much each shape set would weigh? Each individual shape's entire set weighs 0.8 lbs, with each of the four sets within that weighing 0.2 lbs. each. ---> Aimee asked...This is great, but I have to admit to still being a little confused! LOl. Anyway, will the regular dies mat on the scalloped die? For example, if I order the LARGE set of scallop and regular circles, will the largest circle layer onto the largest scallop? KWIM? I should I order LARGE scallops and SMALL circles? This is all of 5 of the scalloped ovals from the LARGE set, die-cut from pink cardstock. 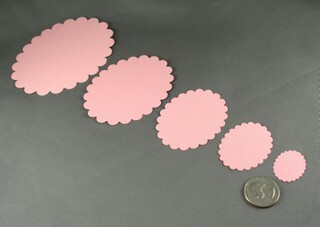 Here are the LARGE standard ovals, die-cut from white cardstock, layered on top of the LARGE scalloped ovals. 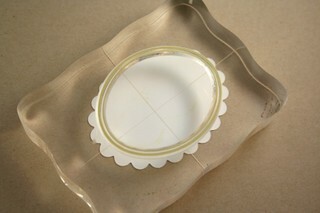 You can see that pretty much just the scallops extend from the edges of the standard oval. 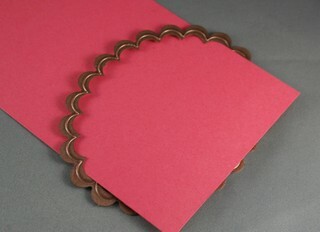 Here are the SMALL standard ovals, die-cut from white cardstock, layered on top of the same LARGE scalloped ovals. There is a lot more space around the standard oval exposed. So you see, it is really a matter of what kind of look you prefer. A lot of scallop or a little? Here are two identical cards I created. 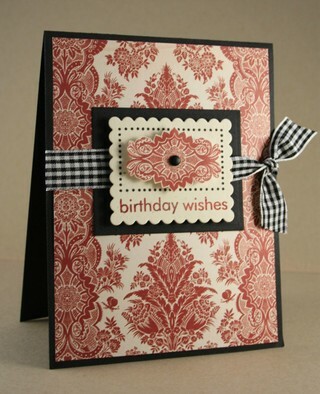 This card uses a LARGE standard oval and a LARGE scalloped oval. 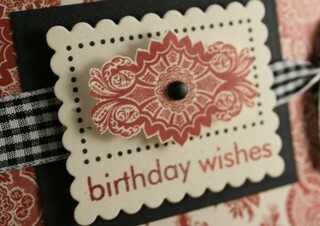 While this card uses a SMALL standard oval and the same LARGE scalloped oval. Is this making any sense now, I hope?!!?!? So, if you like a little scallop to show, you want to order LARGE scalloped & LARGE standard (in any shape, not just the ovals). If you like a lot of scallop, go with the LARGE scalloped & SMALL standard. While this is the last day of the countdown, I wanted to end with a BIG cyberhug for my dearest friend, cheerleader, inspiration & mentor, Ellen Hutson. 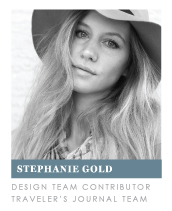 She presented the entire concept behind Nestabilities to Spellbinders and followed through with her visions for this product. 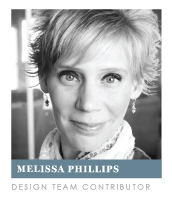 She allowed me to be a part of it, and for this I am so thankful. Not only is the product amazing & revolutionary, but she holds the same characteristics within herself. 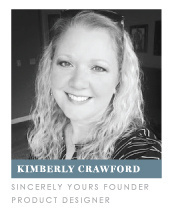 Her generosity and willingness to support me while I have begun this endeavor with Papertrey has been worth more to me than I can say. So cheers to you, Ellen. Here's to a beautiful friendship! NOTE TO SELF: There are 31 days in July...So I goofed and started the countdown a day early. 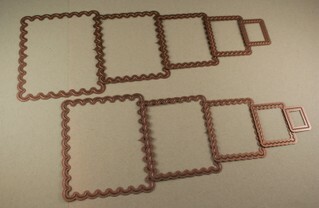 I told you yesterday that next we would discuss materials you can use with these dies. I had fun playing around today and came up with a few fun things. For this project I ran fabric through with a scalloped rectangle die. I was amazed at how crisp the cut was. I also ran a piece of ivory cardstock through with the same die and adhered the two together to create some added stability. I stitched around the edge of the fabric block with my sewing machine and dabbed a little distressing ink on for good measure. I then embossed the rectangle frame onto my green card front (you can see a step-by-step tutorial on how to do this HERE). The twill tape was stamped with some french script as a finishing touch. I really like the texture the fabric added to my project. The Palette inks stay nice and vibrant on fabric too, which I love. After it was heated it shrunk down to about the size of an American quarter. I was so thrilled! I die-cut white cardstock with the next to smallest scalloped square and backed the button with it, tying it with a little scrap of pink ribbon. 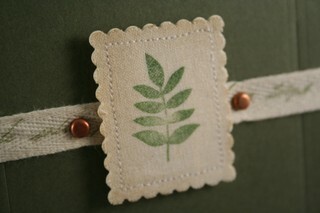 Wouldn't this be the cutest embellishment for a card? Or as an addition to a paperclip? 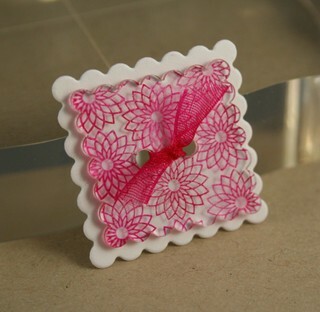 I bet you could make really cute ribbon slides with the rectangle & oval too; maybe I need to try that tomorrow! So some other materials that work well with these dies are vellum, tissue paper (I bet you could make the cutest little rosettes forr gift wrapping with the scalloped circles! 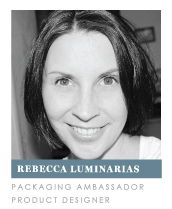 ), thin sheet metal, cork paper or even thin chipboard (such as that from a cereal box). I am sure all of YOU will come up with an even longer list once you get your hands on these to play in your own little creative space! 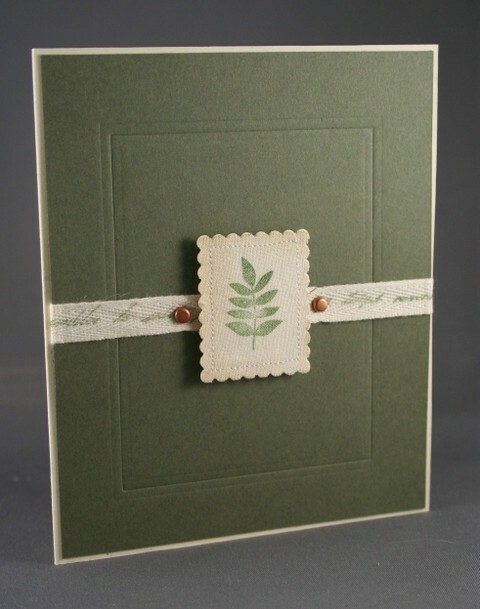 Paper: Always Artichoke cardstock from SU! ---> Charlene asked...How do I know if I should buy the small rectangle set or the large rectangle set. If I am seeing your side by side pictures correctly they all seem similar in size to me. I think I am confused on the sizes of each set of 5. 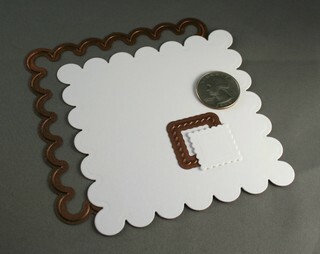 Here is a photo of both the LARGE & SMALL scalloped rectangle sets combined, from largest to smallest. In order to seperate them into the LARGE and SMALL sets individually, I pulled EVERY OTHER die from the group, starting with the second to largest. The top row (which begins with the largest die) is considered the LARGE scalloped rectangle set. 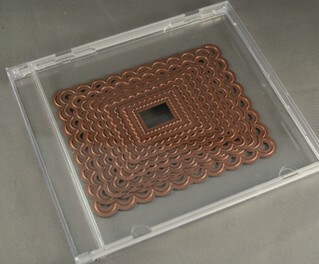 The bottom row (which begins with the second to largest die) is considered the SMALL scalloped rectangle set. So essentially, the two sets are very similar in the range of sizes they cover. It just means that if you own both sets, you have more intervals between the largest and smallest dies. ---> Karen asked...I know everyone is different and it's probably hard to answer this - but if I could only buy one shape right now - which shape do you think is the most versatile? Which one do you use most - square, rectangle, oval or circle??? 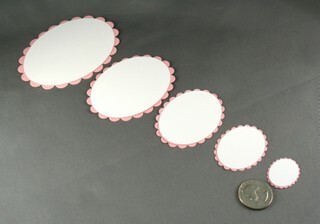 CIRCLES: These are great for monograms & tags. I see myself using them most to coordinate with modern styles. 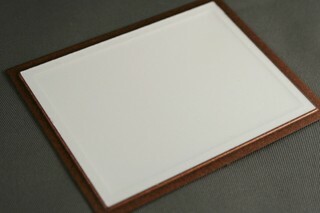 OVALS: Fantastic for matting an image, especially sentiments, since most are enlongated. This type of shape lends itself to more vintage or formal looks, I think. SQUARES: Fun to use as mats for symetrical embellishments or images. 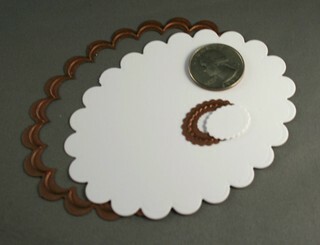 The largest die makes a fantastic scalloped card. I think these shapes lend themselves to a more whimsical style. RECTANGLES: A more classic, traditional look. 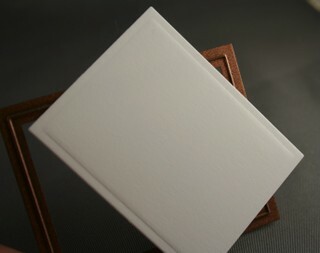 I find myself using the standard rectangles with the embossed edge for my focal point images quite often. I like them because the work fabulously either horizontally or vertically, so it is almost a 2-for-1 deal. I don't know if that was helpful or not, but it is just my 2-cents! ---> Suzy asked... Will these work at all with the borders sets you just came out with? YES, with just a few exceptions! I originally designed the Borders & Corners stamp sets to coordinate with the Marvy punches, put have found that they are a FABULOUS compliment to the Nestabilities Dies as well! 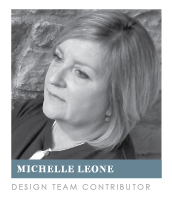 Michelle has a cool tutorial --->HERE<--- that illustrates how she matches up the stamps & dies. There is a doodled loop border in each Borders & Corners sets. It is intricately designed to place a "loop" in each of the individual scallops of the Marvy punches. The Nestabilities dies have more "humps" than the Marvy punches, so this SPECIFIC characteristic will not coordinate perfectly. BUT if you just use the die that is the next size up, it is large enough so that it doesn't matter that there is not a "loop" in each scallop. 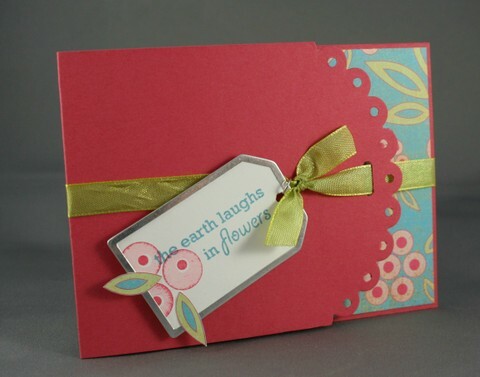 (The photo to left shows the punched shape with the stamped border vs. the larger die-cut shape w/ border). It just acts as a standard frame. 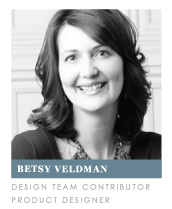 Borders & Corners Oval will coordinate perfectly with just a little bit of fiddling. The cool thing about acrylic stamps is the their flexibity and the ability to form them to fit your needs. The Nestabilities Oval Dies are slightly rounder in shape than the Marvy Punches. So to make the stamps work, you just have to manipulate them ever so slightly. 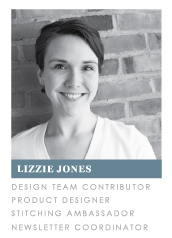 The best way to do this is to die-cut you oval from scrap cardstock. Place it on your work surface and then put your block directly on top of it. You can then take your stamp and hold it just slightly over the surface of the block and push in the sides just hair until it matches up with the shape of your die-cut. You can then lightly press it onto your block. Perfect match! 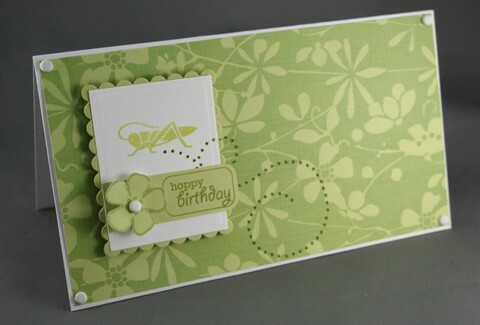 Here is a card I made using the oval border stamp along with the oval die-cuts. 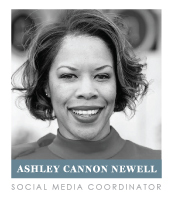 Borders & Corners Rectangles DO NOT coordinate with the Nestabilities Dies. They have different proportions and rectangle stamps can not be manipulated like the ovals. 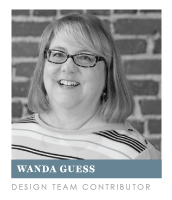 But that is not to say you can't USE the Borders & Corners Rectangles with the rectangle dies! 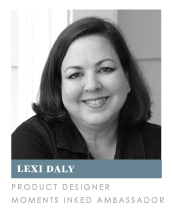 In this project I die cut my scalloped rectangle from ivory cardstock. I then stamped one of the rectangle borders towarrds the top of the die-cut. 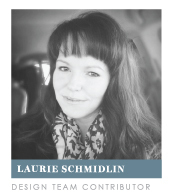 I love the space left open underneath the stamped border. It serves as the perfect little "nook" to tuck-in a sentiment, a row of brads, paper piercing, a line of rhinestones, knotted ribbons or some other embellishment. Tomorrow I will be showing you the different MATERIALS you can use with these dies, so be sure to come back y'all, you hear!!! Ink: Noir Black Palette, Cranberry Crisp from SU! In this photo I have just completed running a standard rectangle die through using the "cutting sandwich" appropriate for my machine. (See compatibility list to see what is best for your machine). After you have peeled away the perimeter "scrap" that surrounds the die-cut image, you are left with this. 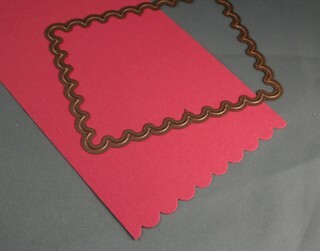 Notice how nicely the die-cut cardstock lies within the boundries of the raised cutting strip. 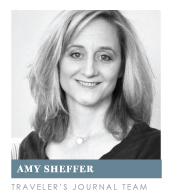 It is at this point that you are able to make the decision to emboss or not. 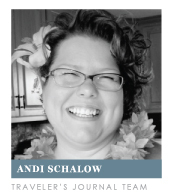 If you just remove the cardstock from the die now it will be a plain rectangle with no embossing. If you decide to run the die BACK through with your "embossing sandwich", you will end up with this. Notice how the center of the cardstock has been "smooshed" into the flat base (frame) of the die, creating an embossed rim, just inside the cut edge. There was no need to line my basic rectangle back up within any boundries to perform this task, because I had left it in place after I had completed the cutting step. So basically, there is a very simple technical explanation for all this. If you press your die against a solid surface (your cutting sandwich), it will cut through the cardstock. 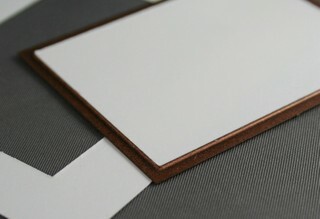 If you press your die against a soft surface (your embossing sandwich), it will emboss the cardstock. 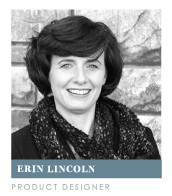 This makes it so easy to make the BIG decision- to emboss or not to emboss?!?!? The choice is yours! Here is my completed card using my embossed rectangle, along with a scalloped mat created with the coordinating scalloped rectangle. 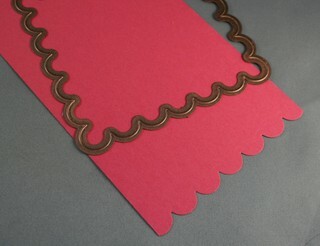 Here is a close-up of how the embossed edge really adds a lot of detail to the project. Tomorrow I will be talking about the compatibility of Papertrey's NEW Borders & Corners stamp sets and the Nestabilities dies. Be sure to stop by! Spellbinders Nestabilities Dies are now available for purchase through Papertrey Ink. ---> Why are there less dies in the oval & rectangle sets vs. the circle & square sets? ---> With regards to the smaller sets, how do I know which standard set coordinates with a particular scalloped set? This is very easy! The SMALL standard set of a particular shape coordinates with the SMALL scalloped set. Smae goes for LARGE. 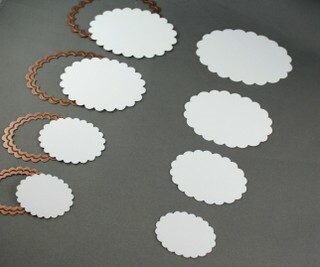 So for example, if you wanted to get started with one set of circles and you knew you wanted the larger size, you would purchase the LARGE Standard Circles and the LARGE Scalloped Circles. ---> What are the exact sizes of the dies? ---> How do these dies compare to the Marvy Scalloped Punches? Here is a side by side comparison of the appropriate sized Nestabilities Scalloped Ovals (LEFT) and the Marvy Punch equvilent (RIGHT). The scallops on the Nestabilities are slightly deeper and the overall oval shape is a little rounder. This photo gives you a fairly good idea of the little difference in the other shapes as well. ---> How do you store the Nestabilities dies? I store mine in CD cases. All of my scalloped ovals are in one, all of the standard ovals in another. Same goes for the remaining shapes. They are such a space saver! I have heard of others using a magnet strip inside the case to help keep them in place too! --->If I already own the scalloped punches, why would I be interested in the Nestabilities dies? In my opinion, for the variety. 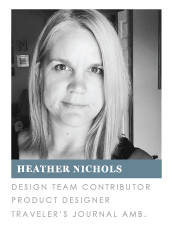 (The same reason we have more than one set of sentiment stamps or 3 different kinds of white cardstock). Each type of tool or supply in my collection has different purposes to offer me a variety of results. I will always LOVE my punches for the advantage of being able to stamp an image and invert my punch for perfect placement. They are also "grab & go", without having to get out my die-cutting system out. 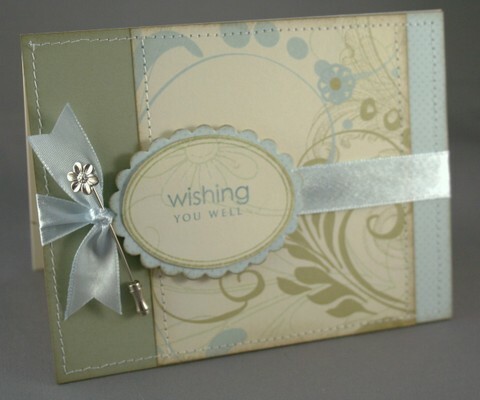 -I can place them wherever I want on a card front, without limitations, to create a scalloped window, whereas the punches are limited in this feature because of their design. 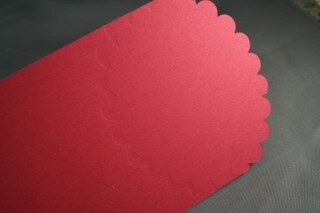 -large enough to create shaped cards. 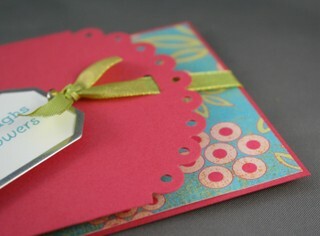 On that note, I also discovered that I could create a scalloped EDGED card with these dies! 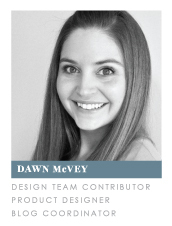 (Can you tell that I am giddy about this product! *wink*) After all that Q&A, I think it is HIGH time for a project! Through some experimentation, I discovered that I can thread my card front through the die and just cut the bottom edge. Notice how the raised strip I refered to yesterday is on top of the card where I do not want it to cut. The area that I DO want cut is on the underside. When I put it through my die-cutting system, the raised edge will be pressed through the cardstock, leaving me with a scalloped edge card. 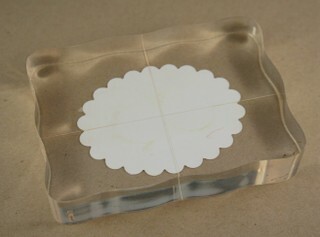 Here is an example of how you would place your card through the oval die. As a disclaimer, (just 'cause I would want to know if it were me out there reading this!) depending on the thickness of you cardstock, (I used SU! 80lb. here) you will get a very SLIGHT impression of the die where it crosses over the upper part of your card. It is not very noticeable (and I actually had a hard time picking it up with the camers). I just fold my card so that this side faces the interior and it is completely forgotten! 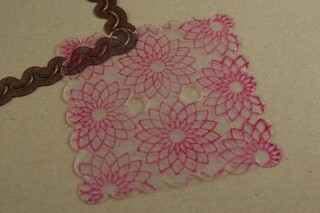 I used my 1/8" handheld hole punch to create a lace effect in each scallop. 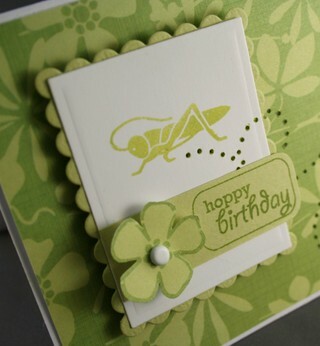 I just love the way this card turned out and I am falling in LOVE with the possibilities that these dies pocess! and the rectangle. When doing this technique your cards have to be trimmed down to 3 3/4-inches in width to fit through the dies. 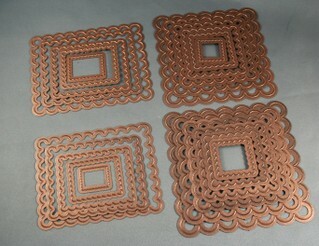 I utilized the largest scalloped die of each shape set. Well, if you are still with me, I would say you are well on your way to being completely knowledgeable about Nestabilities dies! Believe it or not, I still have much, MUCH more to share with you tomorrow! Ink: pretty in pink, rose red & taken with teal from SU! ---> Suzy asked...are these metal? Will they be hard on our Cuttlebug? I know you said we need to use the foam with the plates but will it shorten the lifespan of our plates even with the foam? Yes, these and ALL dies are made from metal. The pressure is so great when running dies through a machine, that any material other than metal would not be able to hold-up to frequent use. The only time you use the tan polymer mat in your "sandwich" is when you are embossing, otherwise you just use the standard plates, in reference to the Cuttlebug, this would be the "B" plate. (You can refer to the compatibility list for a specific sandwich recipe). The Nestabilities dies are no more damaging to the plates than your standard Cuttlebug dies.